4" Rancho or 6" Zone??? 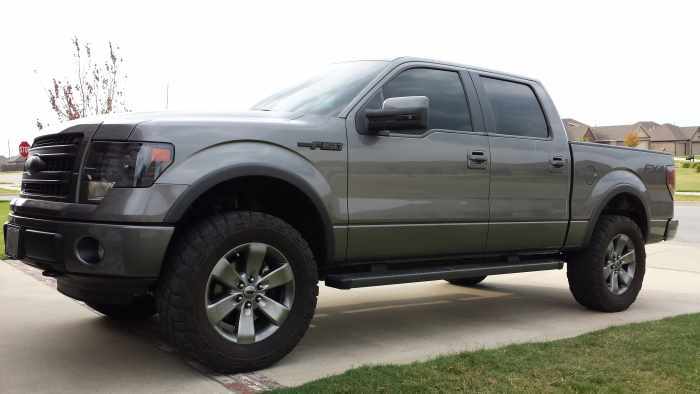 Hey ya'll...my fiance just informed me that she wants to buy me a lift for my birthday (I know, I scored a good one huh??). I was looking for some input on these two lifts to help me make up my mind. I've found a ton of info on other brands, but think I have narrowed it down to these two, just not sure which way to go....All help/info is appriciated!! 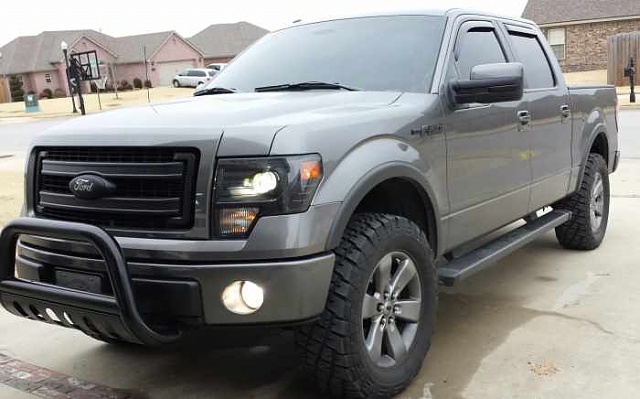 I have a 2012 fx4 same color as yours. I put the rancho 4" on and it is perfect. I used the 9000 adjustable shocks as well. The kit is high quality abd tge perfect amount of lift. A guy down the road has a procomp 6" and it is barely higher, the 4" with 35s just seeems to look better on these trucks. Less wheel well gap, I guess. can I ask why you have narrowed down to these to? I just bought a Rough Country kit 6" inch with kicker bars for $1200 tax and shipped. I'm just wondering why you picked those two. One main reason I went with RCX was because every 4x4 dealer I called Rough Country was the first one they recommened. Last edited by philupondes; 02-22-2014 at 04:53 PM. Well I noticed the Zone had replacement struts instead of spacers for not much more money than what I've seen RC priced at......Kinda like the idea of the struts instead of spacers. And as far as the Rancho, well I just simply haven't heard any complaints about them and when the spring season sale rebate thing starts, the price is extremely fair as well. Zone front struts is why I went away from that kit, I figured what happens down the road when those struts go bad.... at least with RCX you can just replace OEM, another for me was not many real life long use reviews on the Zone kit, and if you are having someone install it for you the zone will cost more for install due to the struts up front. And I didnt really like the front Zone cross bar jst looks plan and generic. I havent heared or seen of any prombles with the rough countrys at all. sorry I knida jacked your thread I was just trying to get your insights on why you picked those to. Where did you get that price? And that is a valid point on the struts....maybe I should reconsider that aspect. I was looking more along the line that it would probably improve the ride quality and that it would also be more visually appealing than a big ol hockey puck sitting up there....my 2.5" is even an eyesore to me nobody else I'm sure) at times. it depends on what size tires you are going to run. without knowing that i think the 4" Rancho looks best in my opinion. Quick Reply: 4" Rancho or 6" Zone?? ?